۱ Supporters of Afghan presidential candidate Abdullah Abdullah arrive for an election gathering in Charikar. 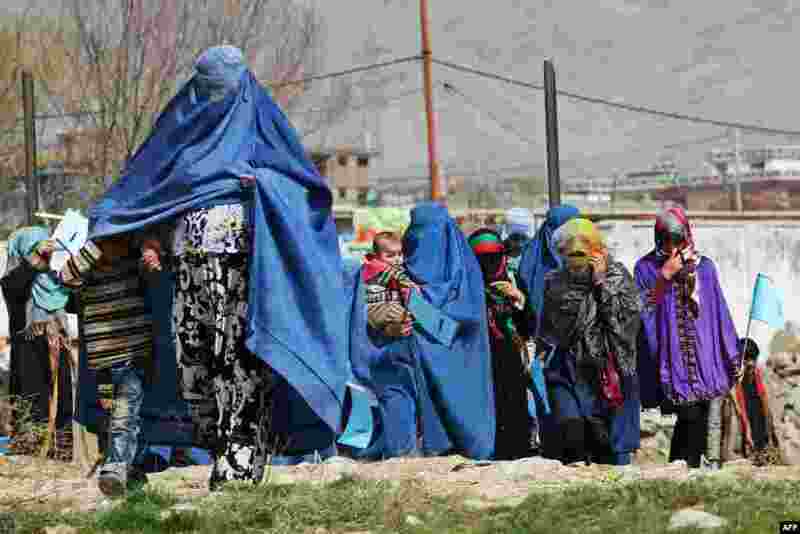 Afghanistan's April 5 election is the third presidential poll since the fall of the Taliban with 11 candidates contesting the polls. 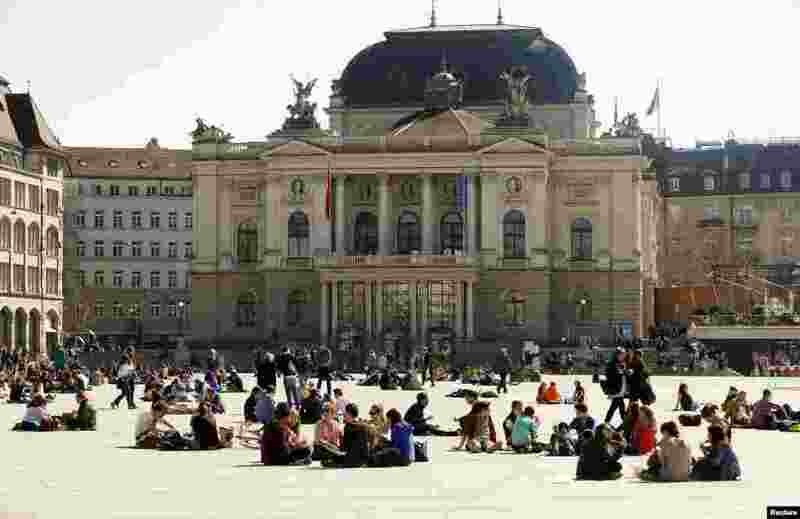 ۲ People enjoy the sunny weather as they sit on the Sechselaeutenplatz Square in front of the opera house in Zurich, Switzerland. 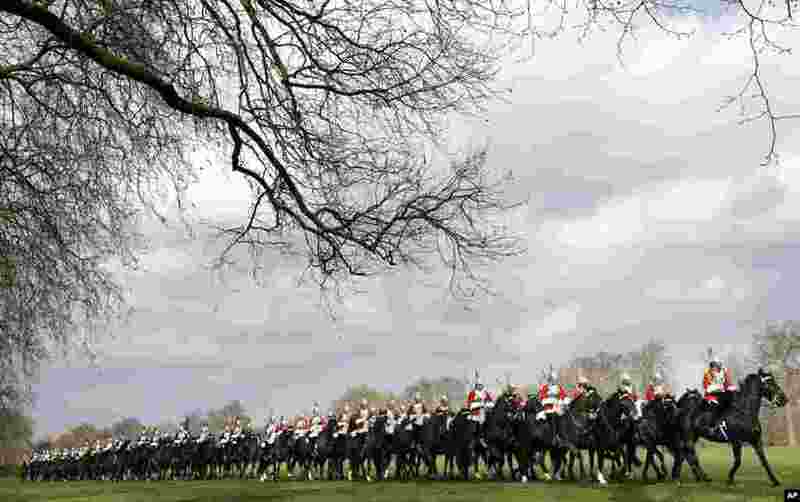 ۳ The Household Cavalry Mounted Regiment parades in Hyde Park in London. The regiment was undergoing their annual inspection to validate their ability to conduct state ceremonial duties for the year. 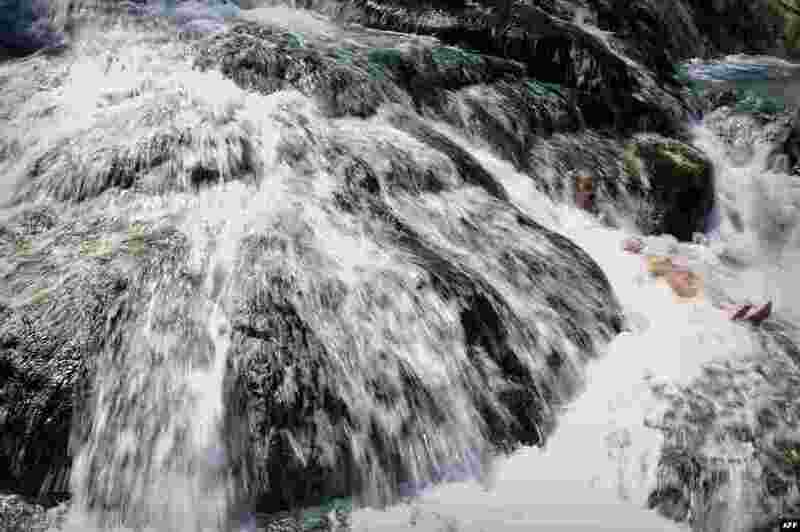 ۴ A man enjoys a bath at the hot springs of the famous Thermopylae ( 'the hot gates') in central Greece, Mar. 19, 2014. 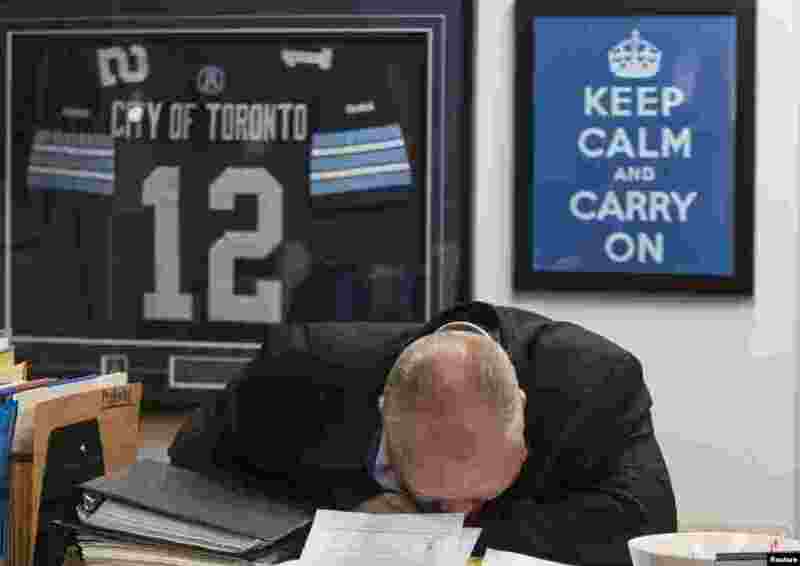 ۵ Toronto Mayor Rob Ford laughs in front of a "Keep Calm and Carry On" sign at City Hall in Toronto, Canada, Mar. 19, 2014. Ford, who made global headlines last year after admitting he had smoked crack cocaine, was caught up in fresh controversy after a new video showed him agitated and apparently swearing outside city hall. 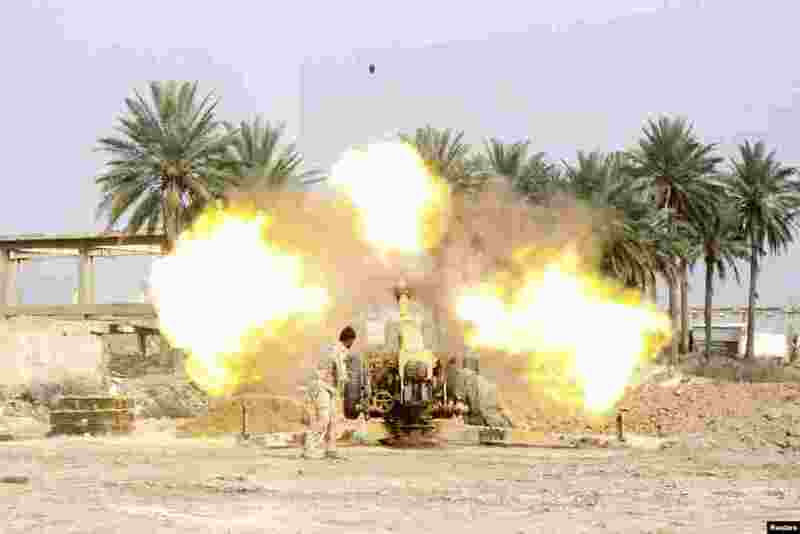 ۶ A member of Iraqi security forces fires a cannon during clashes with the al-Qaida-linked Islamic State in Iraq and the Levant (ISIL) in Jurf al-Sakhar south of the Iraqi capital Baghdad, Mar. 19, 2014. 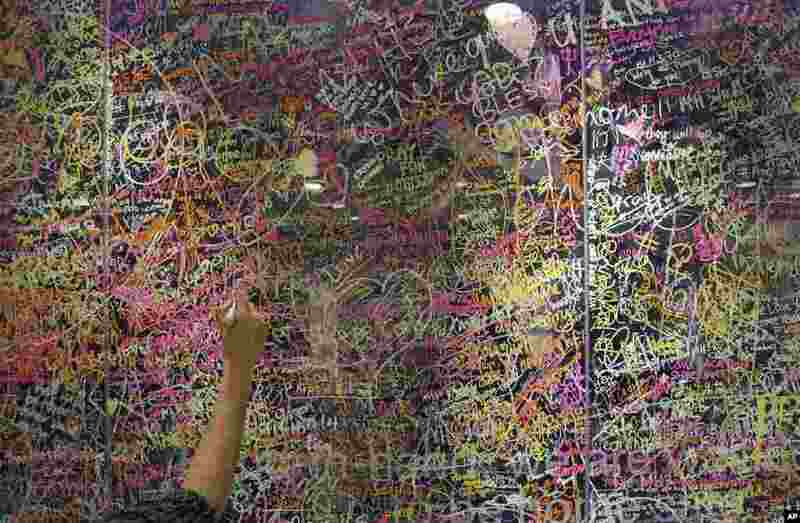 ۷ A woman writes a message for passengers aboard a missing Malaysia Airlines plane, on a glass wall at a shopping mall in Kuala Lumpur, Malaysia. 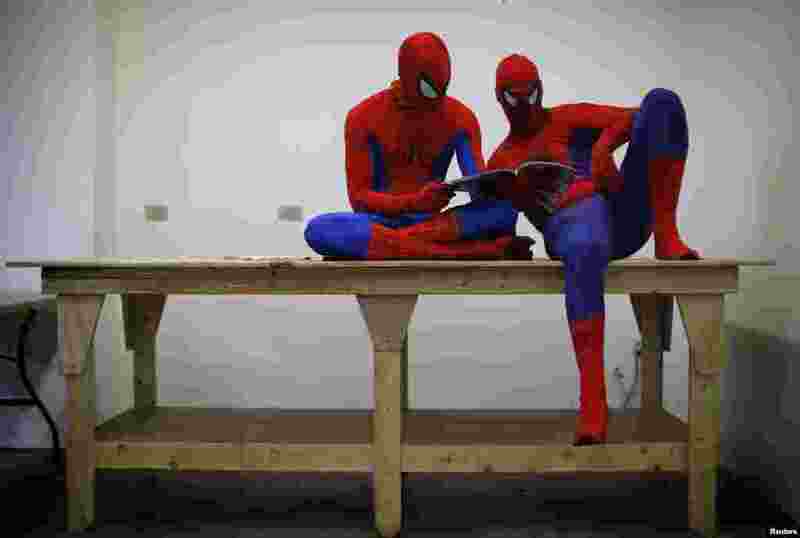 ۸ Peter Norbot and Kris Hamilton (L), dressed up as fictional comic book superhero Spider-Man, look through a magazine as they wait for their turn to audition to be a part of a promotional campaign for the upcoming release of the new movie "The Amazing Spider-Man 2" in Chicago, USA, Mar. 19, 2014.